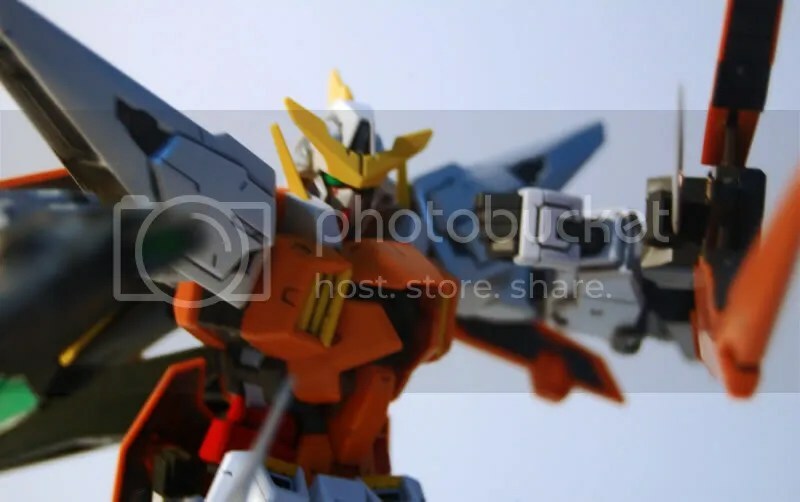 1/100 Gundam Kyrios | Wcloudx (kumo)'s Blog - Ramblings about Figures, Gunpla, & More!! 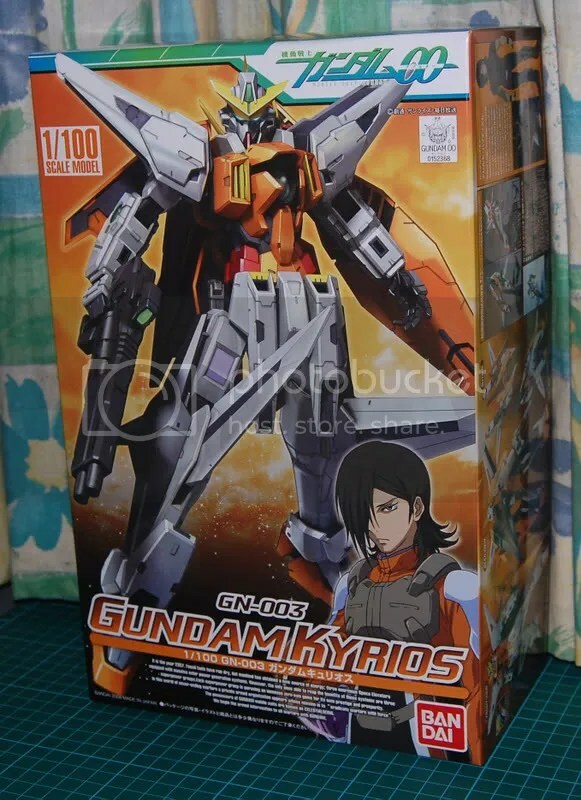 As promised, here’s the review for “1/100 Gundam Kyrios” ^^ Just finished it today. 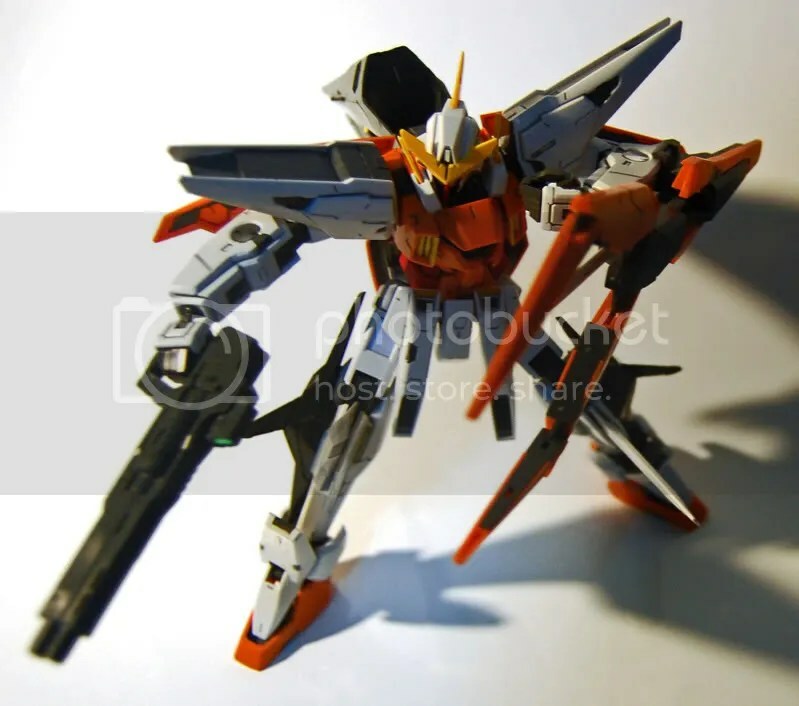 This entry was posted on February 2, 2008 at 11:49 pm and is filed under Anime/Manga, Gunpla. You can follow any responses to this entry through the RSS 2.0 feed. You can leave a response, or trackback from your own site. 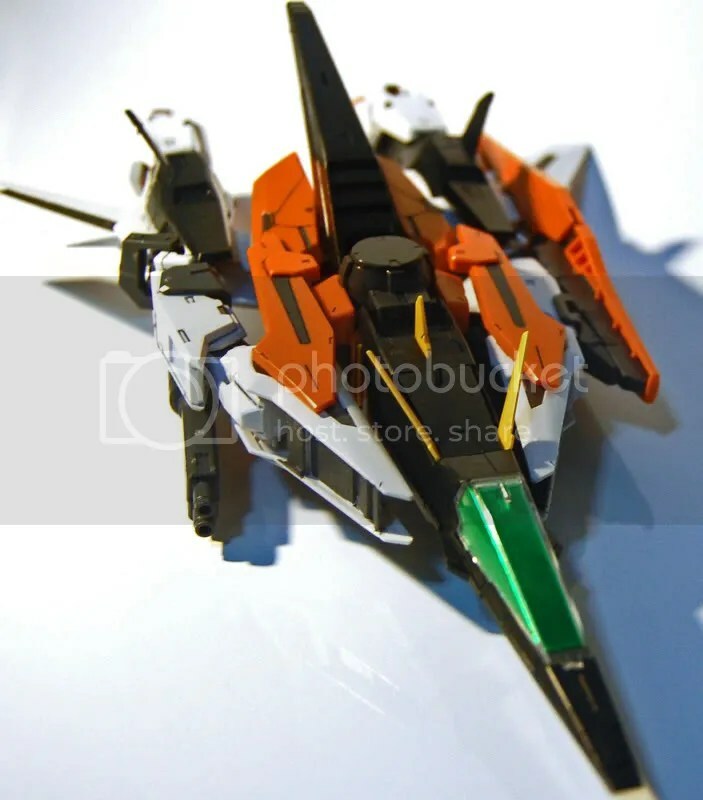 I use special “Gundam Marker” for Gundam 00 series kit to colour. I ordered it through Hobby Search. I think it was 1,200 yen per set. 1 set has 6 colour markers; Light Blue, Yellow, Red, Grey, White, and Dark Blue. 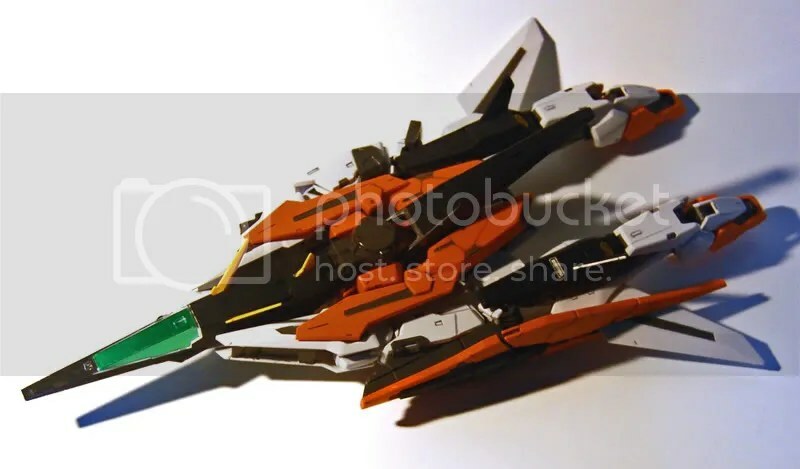 Specially made for Gundam 00 since they have all the colours needed, atleast for the 1st 4 main gundams ^^ They probably gonna release a 2nd set for it. haha, jz a question. 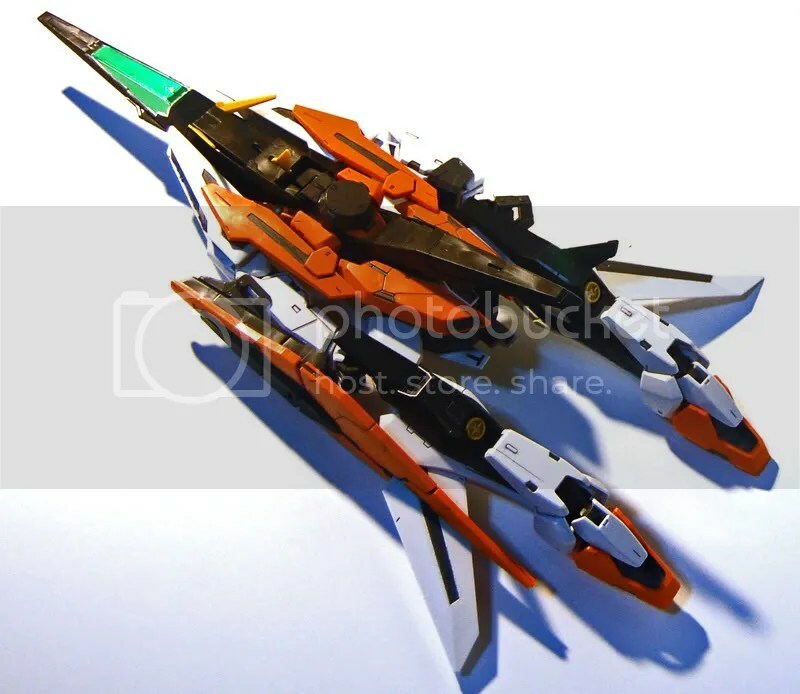 can d dynames lie on d kyrios lyk in d anime? wahahahha. XD. 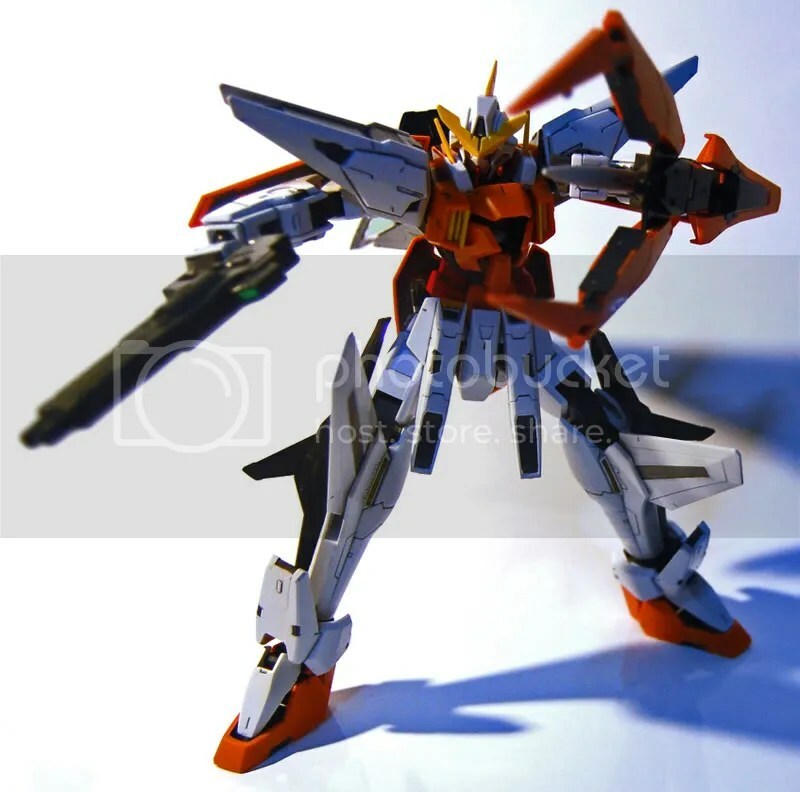 anyways, i still cant decide between the exia or kyrios 1/100. haiz..
oh yah, another question. all u used was jz markers to make all d lines n d black stuff? u didnt do anytin else ryte? U use markers? how did u do it without leaving the marker strokes? 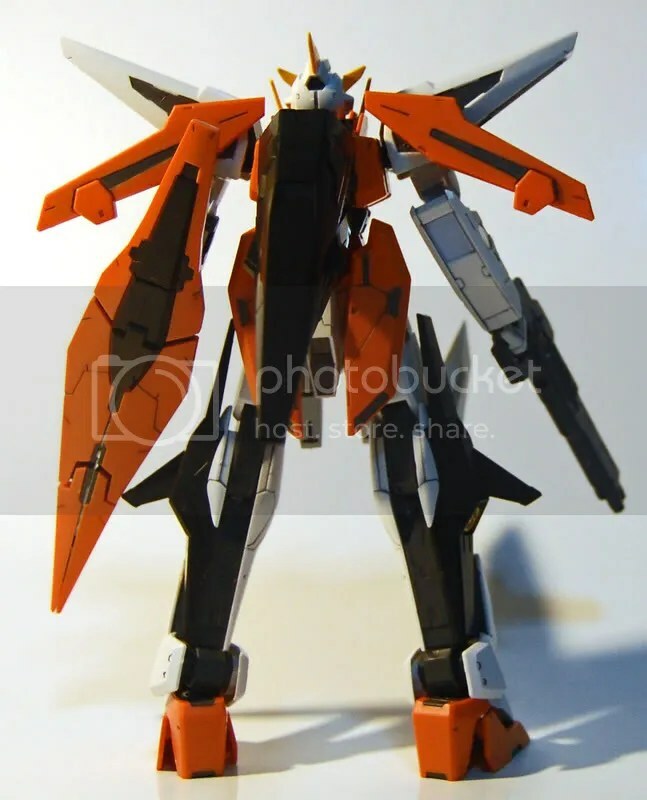 Yep, only “Gundam Markers” ^^ I used masking tapes around the edges to prevent the excess markers. Other way is I could just scrub it off using a hard edge, like a ruller, but not too hard. Nice review/pictures. I just ordered one on eBay, can’t wait to get it. 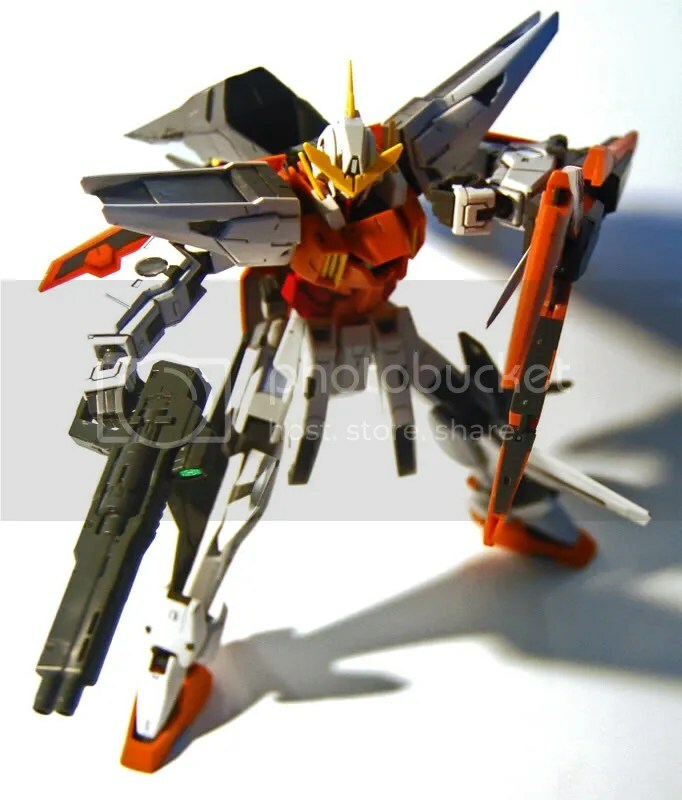 This one and Virtue are the best looking ones since they “transform” unlike Exia and Dynames. 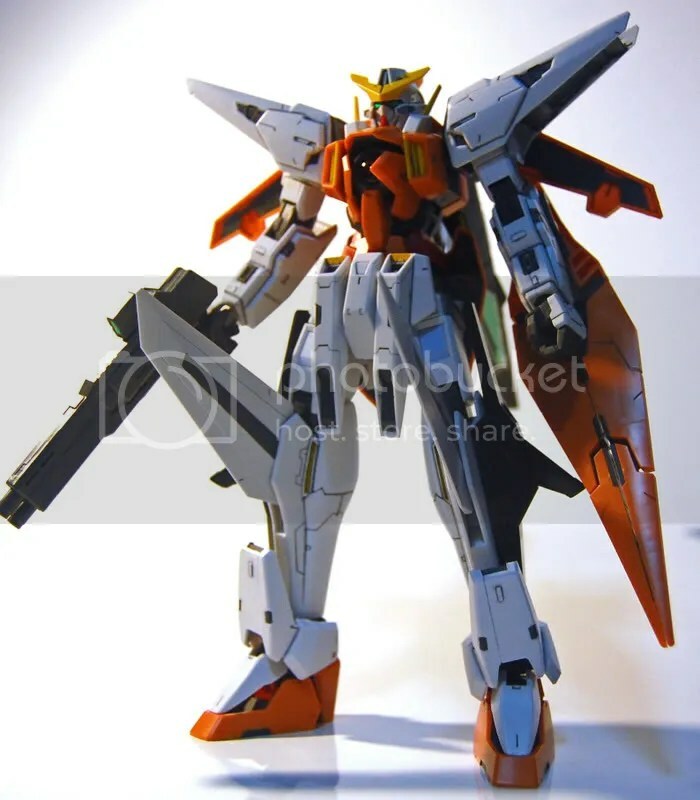 Hey, wcloudxkumo, may I ask what colour did you use for panel lining? Black or Grey? 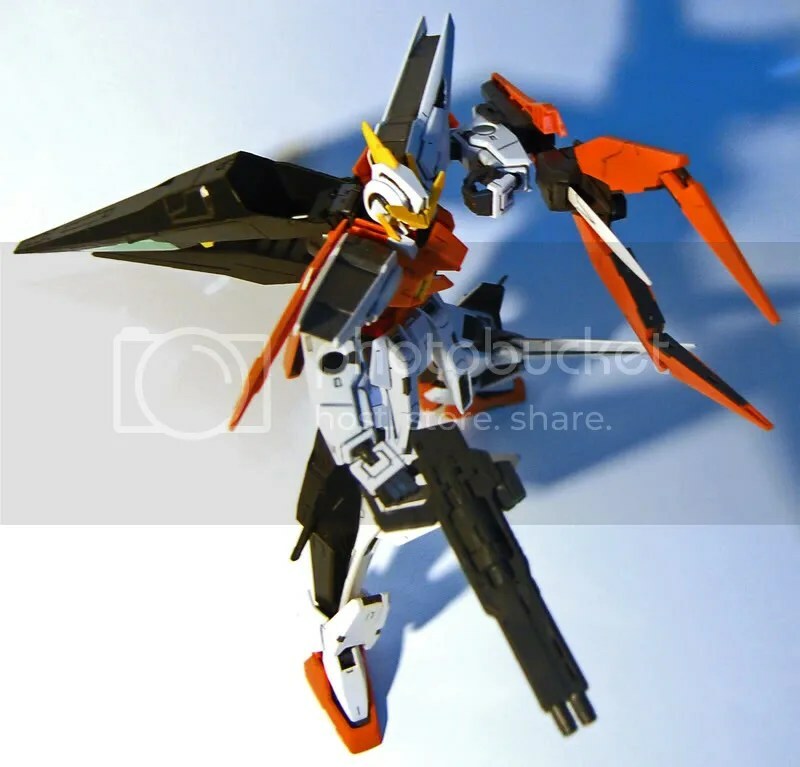 I used a black gundam marker for my 1/100 destiny gundam, and the result was horrible. 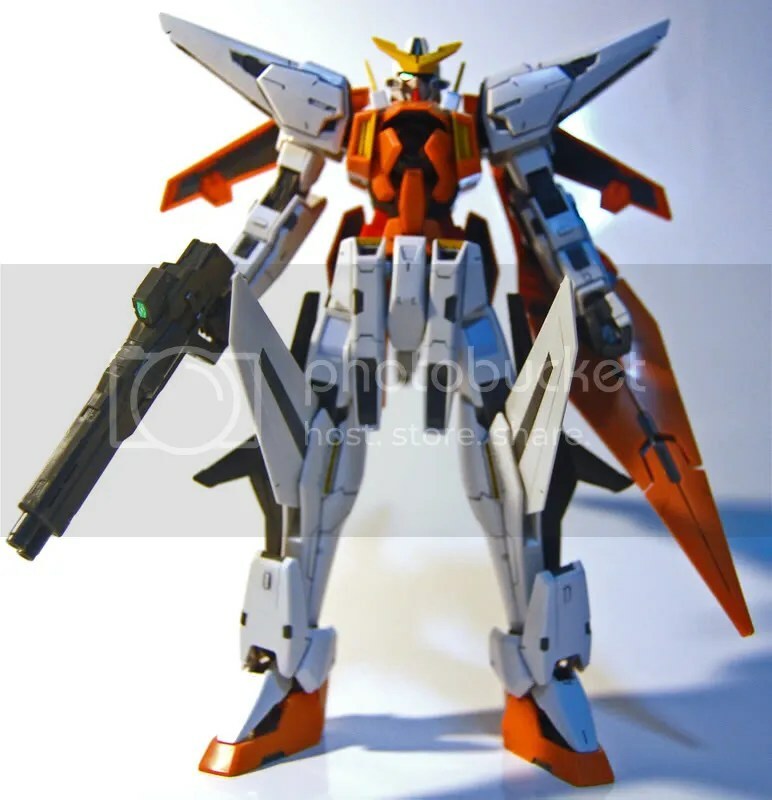 I don’t want to repeat the same mistake on my Kyrios Gundam. 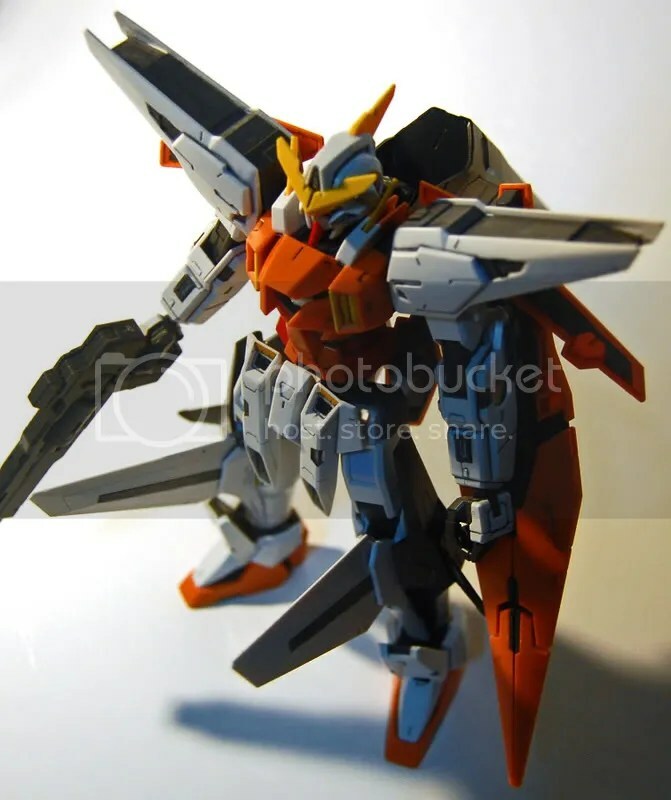 hey hey, for your kyrios how do u make the grey so dark? i have the same marker as u but is not as dark as yours. 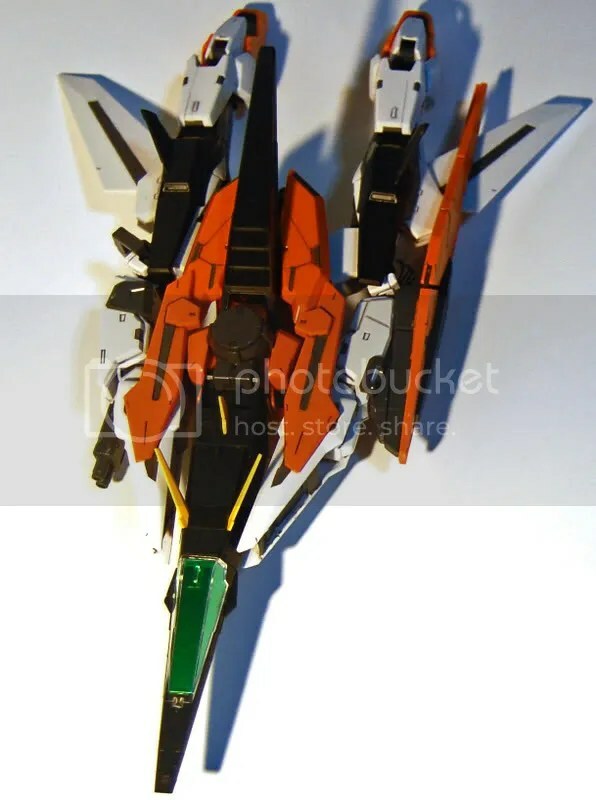 and how long can one gundam marker last? hey i like your work, is really awesome. i would like to know how you make your grey so dark? i have the same colour marker set as yours but my grey isnt that dark. did u use black marker by anychance ? beside panel lining. 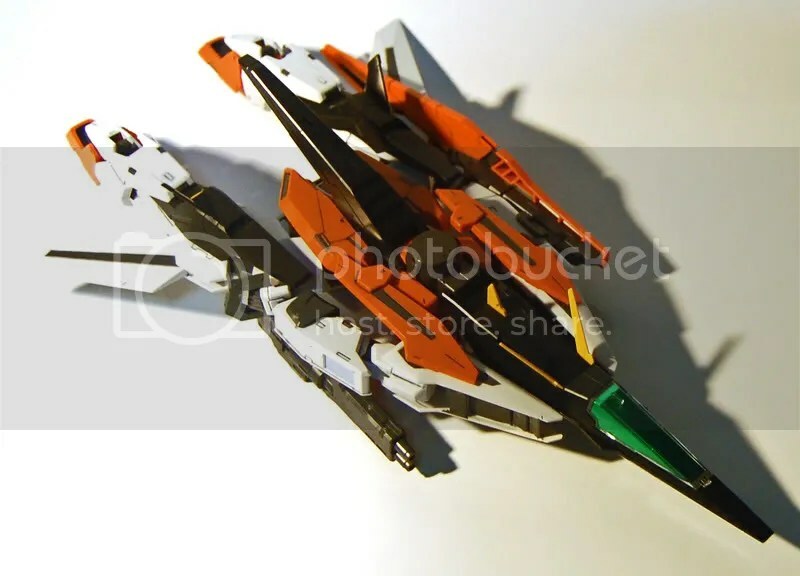 I think it’s too difficult to me.I don’t have gunpla, but I have a Armored Core NX-02 TELLUS.It’s really a bad experience:.I can’t cut off the part well from board,and made them together too difficult! Hey, great job with the model! 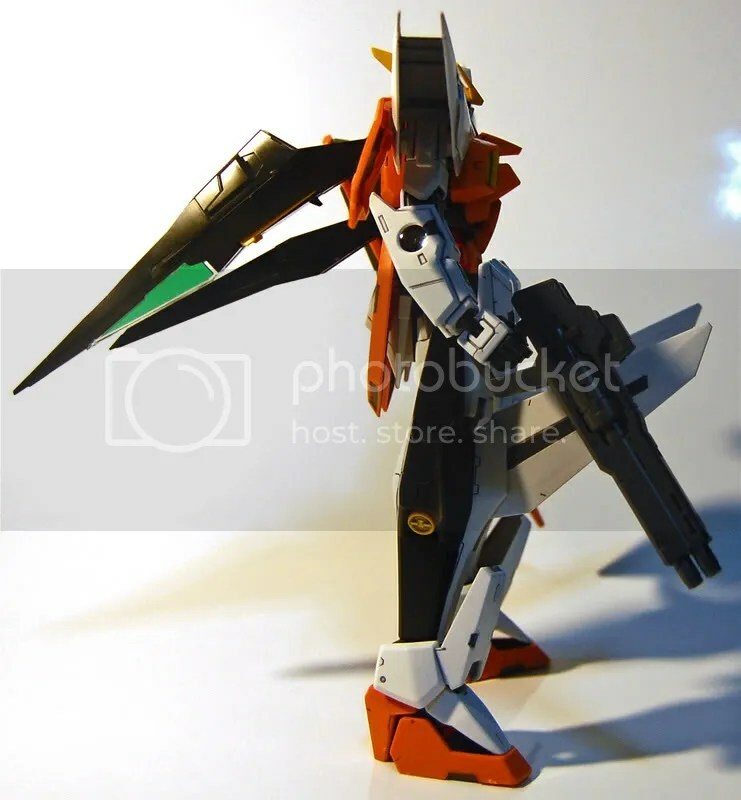 I just got my GP03S and it’s my first model in years, and I was wondering if you could answer a few questions on painting? Do you paint all of your pieces? If not what makes you paint ones vs. others? Do you paint the pieces while they’re still in the tree, or do you snip them out and then do it? 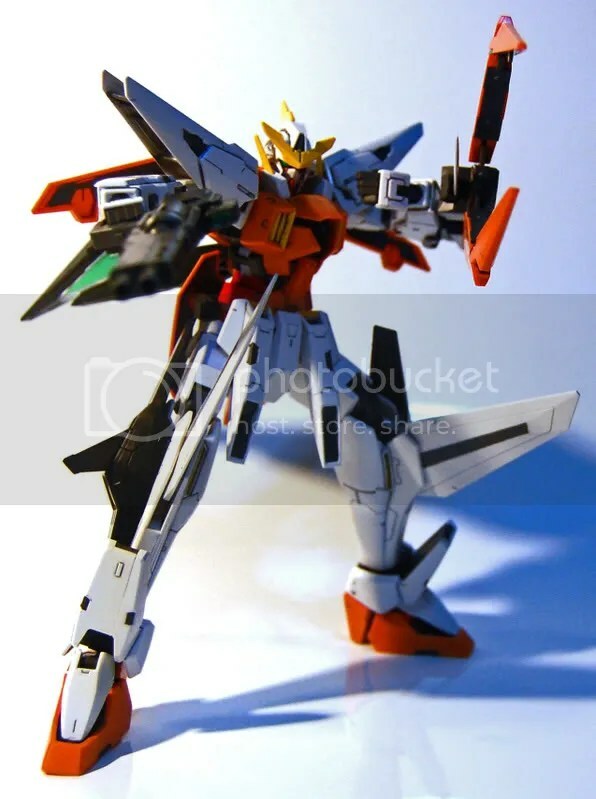 I’ve never done panel lines before and I picked up the ultra fine Gundam Marker to do so and I was just wondering if there is any special way of using the Gundam Marker? Thanks a bunch in advance and I’ll keep checking your site often to see some more stuff! i did marker it using cheap marker too, lol but unfortnately im not skill full enuff..
there is a ‘mistake’ at the feet, the line didnt straight and its hurt me when i see it..
my question is how to wipe out the ‘mistake’ ? i dont wanna spary it cuz im jz newbie, not skillfull enuff..
got any idea ^^. thanks. 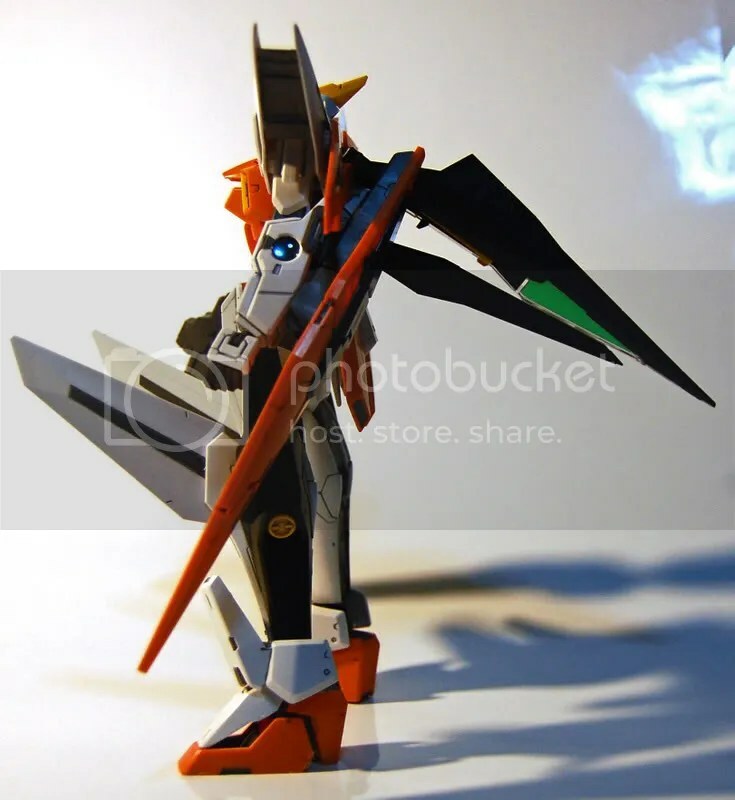 I’ll start to collect this gundam too. 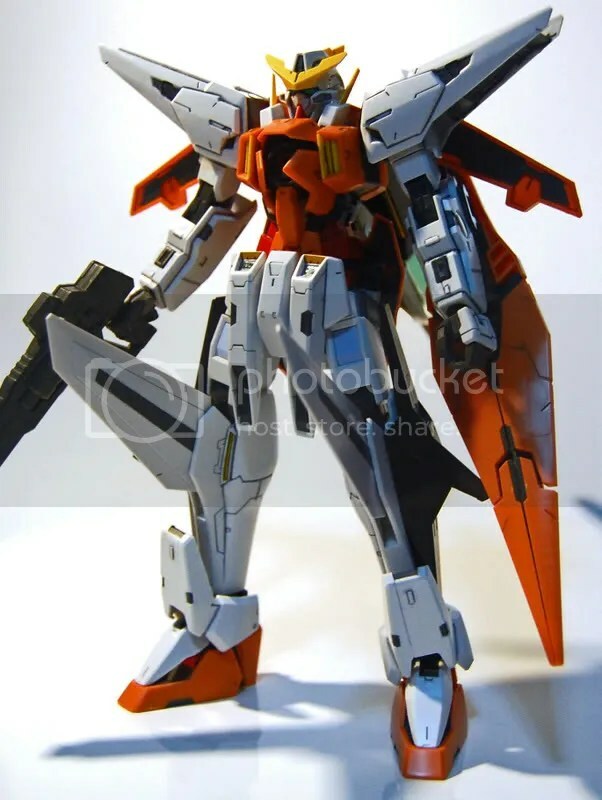 nice, one question have you used paints on this or all markers?